Our Eastport Collection is a tribute to the maritime preppy look that was born on the U.S. east coast in the 1950s and 1960s. You can’t set sails to explore the world in greater style. 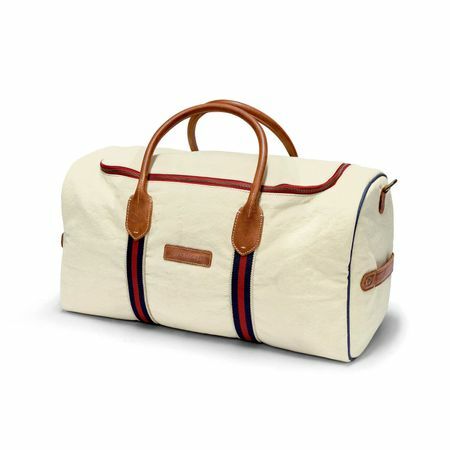 The Duffel Weekender is a sportive travelling bag for longer weekend trips of up to five days. 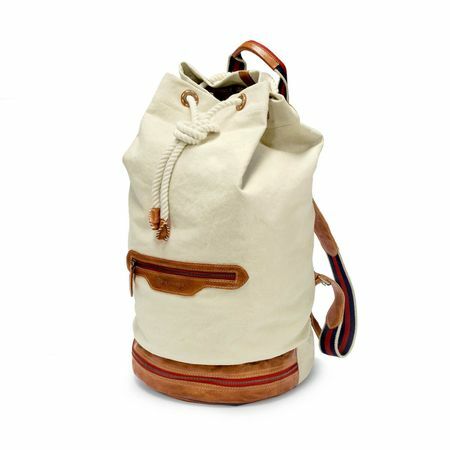 It can be casually worn over the shoulder or elegantly carried by its leather straps. In spite of its compact dimensions, it is really quite spacious. It opens easily and is convenient to pack. You can undo the leather straps on the sides for even more room. The shoulder strap is adjustable and has a moveable shoulder cushion made of leather. Interior compartments: 1 zip compartment. There is no rating for EASPORT - Duffel Weekender - Off-white.